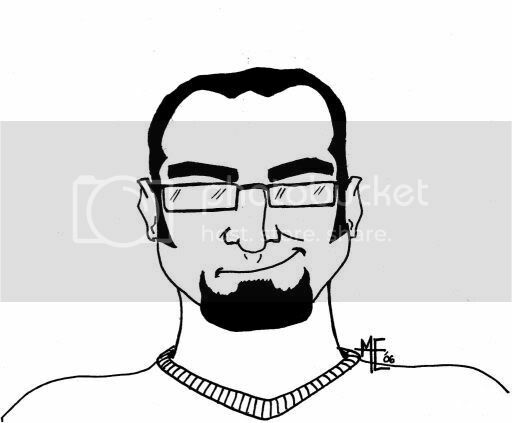 perhapablog... and other ramblings: image is everything! late entry--mark martin, jim woodring, and stuff! connor dowling ripped me off! 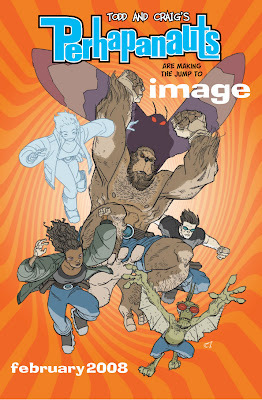 The PERHAPANAUTS are moving to IMAGE!! as most of you know by now, the big news that craig and i have been sitting on for the past couple a months finally hit the net yesterday; The PERHAPANAUTS are moving to IMAGE!! if you haven't seen any of the press, check out the interview we did with (i won't say "our pal" 'cause he is truly an unbiased reporter, the epitome of journalistic integrity) (but also a really great guy!) MATT BRADY over at NEWSARAMA for the big scoop! also up and running is our very own, all-new, you-gotta-come-by-and-see PERHAPANAUTS Message Board at the IMAGE forums!! woo hoo! go over, sign up--it only takes a minute and is very easy--and we can chat over there as well as here! i'll still be doing the blog here and you'll still be able to post comments, but hopefully we can attract a few more people to the book with the forums, so let's all have fun! craig and i will both be stopping by there to chat and answer questions and the forum will be moderated by our own Bill Nolan! then, in april, we hit with PERHAPANAUTS #1!!! the first part of the 4-part storyline called "triangle", which picks up right wehre we left off at the end of "second chances"! 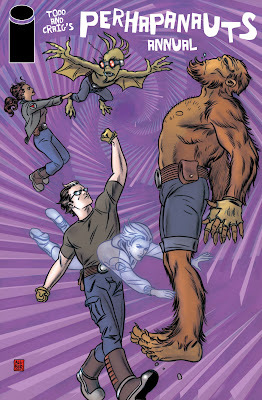 so call the kids, wake the neighbors, e-mail your relatives, and write it on the hills--The PERHAPANAUTS are BACK, BABY! and you're not gonna wanna miss it! Great news. Awesome cover. The alternate cover is cool, too. I had already read the newsarama interview this morning. I'm looking forward to the new stories. I hope more folks get on board so the books sell, I'll certainly spread the word. Who knows, maybe someday "Saturday morning 'haps" like Craig said. Just when I was thinking nothing could make me happier than a Red Sox World Series Victory, along comes this great news to prove me wrong. Craig's cover for the annual is Kick Arse and the Bermuda Triangle story sounds like the best on yet. Looking forward to a long and successful run under the Image banner. Great News! Here's hoping sales are good enough for it become an ongoing. That would be awesome! I'm really psyched about this. It renews my faith in the world of comics. And Craig, as usual, is doing amazing work. I feel like this run will really put him on the map. Splendid news, lads. New series, new publisher and new excitement building for the team. Can't wait for that Colossal Perhapanauts to be announced. Todd! This is great news indeed!! Glad to hear that your looking into Image worked. Things will look up and we'll all get more 'Haps out of it! Congrats and Good Luck!! !